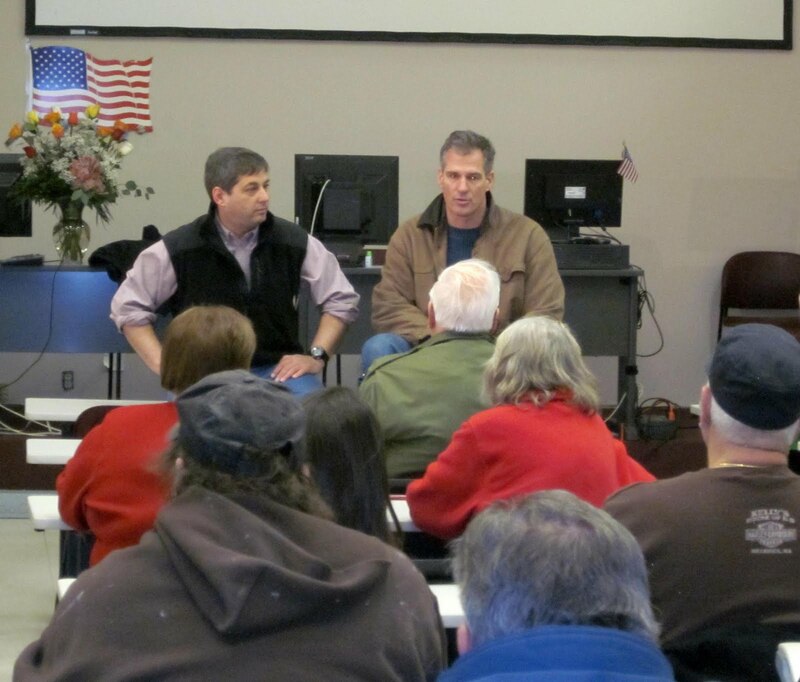 On Saturday, February 12th, U.S. 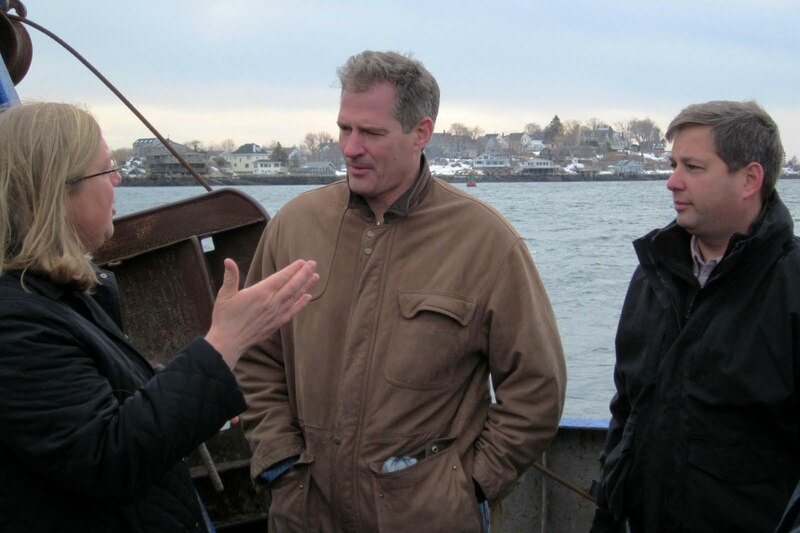 Senator Scott Brown came to Gloucester to meet with local leaders, seaside business owners and fishermen regarding his recently filed FISH (Fishery Impact Statement Honesty) Act of 2011. 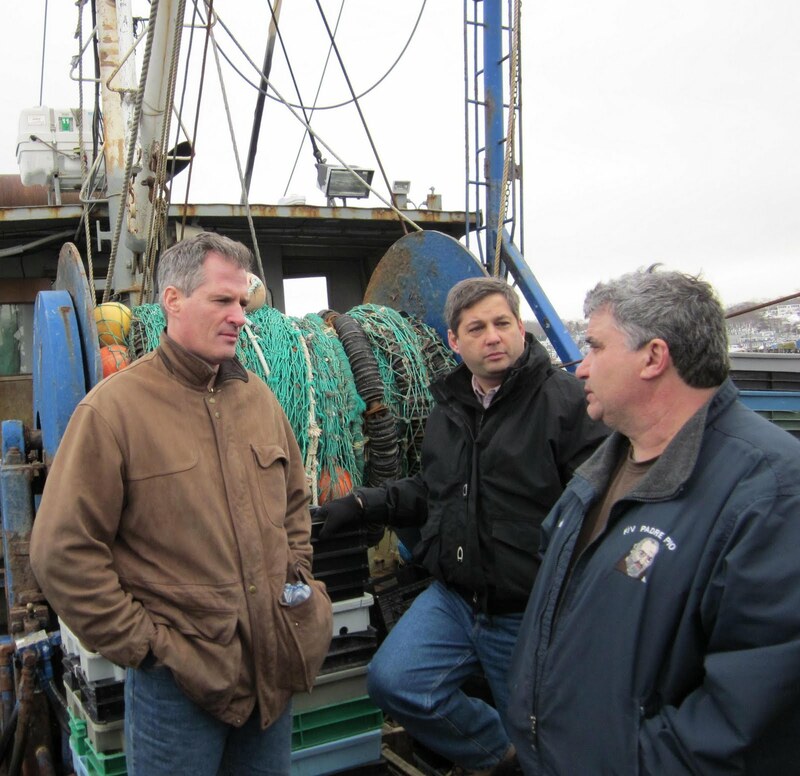 If passed, the bill would create an independent oversight process to review fishery regulations created by NOAA and the United States Commerce Department. 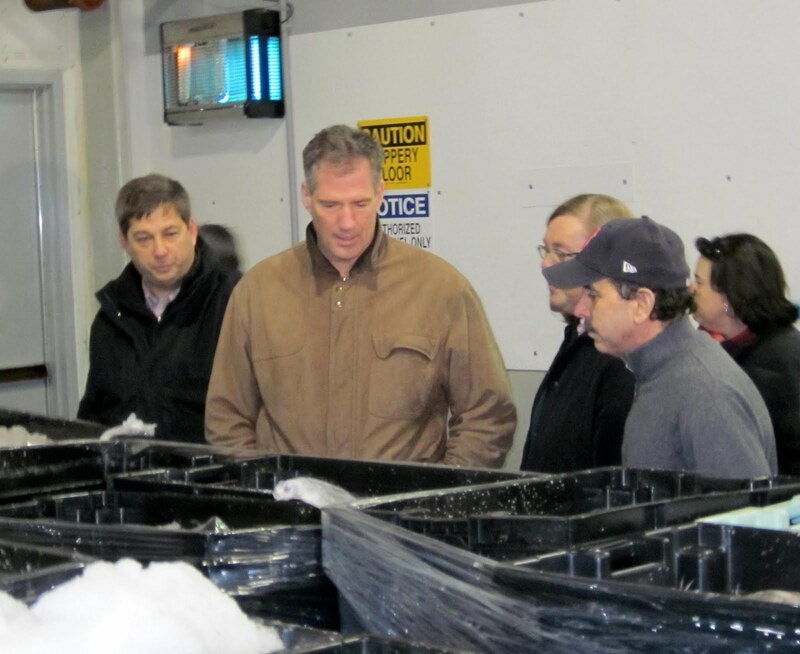 New regulations have been particularly harmful to the livelihood of the industry and this process would require NOAA to implement a plan for corrective measures to ensure the success and viability of the industry while rebuilding stocks. 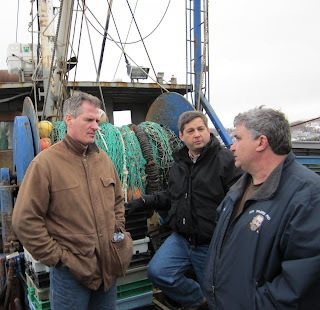 An independent review process would not only provide an honest analysis of the impacts of management measures on the fishing industry, but would also generate the much needed transparency and integrity that federal regulators have lost. Below are a few photos from Saturday’s event. State Senator Bruce Tarr (far left) and Scott Memhard (far right) provide U.S. Senator Scott Brown (center) a tour of Cape Pond Ice. U.S. 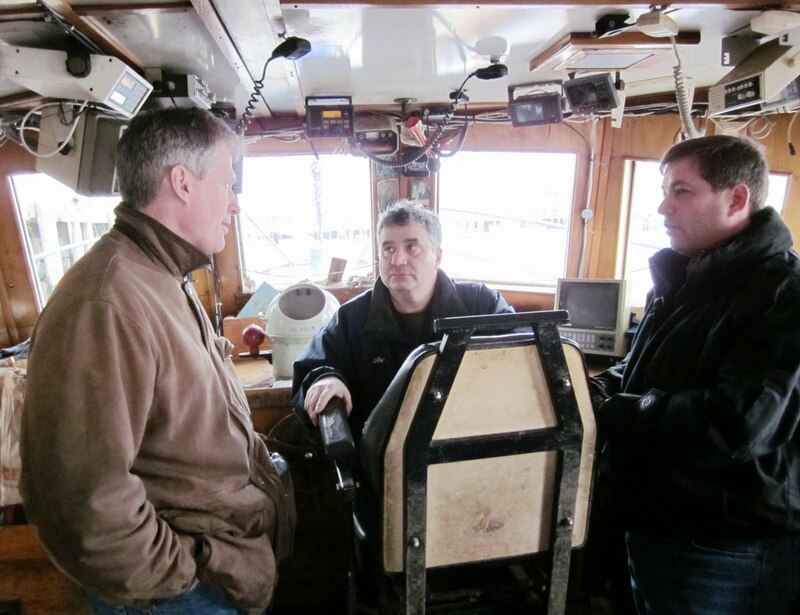 Senator Scott Brown (left) talks with fisherman Joe Orlando (center) and State Senator Bruce Tarr (far right) while receiving a tour of Gloucester's inner harbour. U.S. 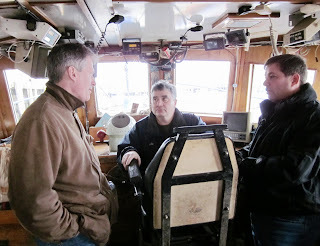 Senator Scott Brown (far left) discusses with fisherman Joe Orlando (far right) and State Senator Bruce Tarr (center) about the struggles of the fishing industry aboard the fishing vessel Pablo Pia. 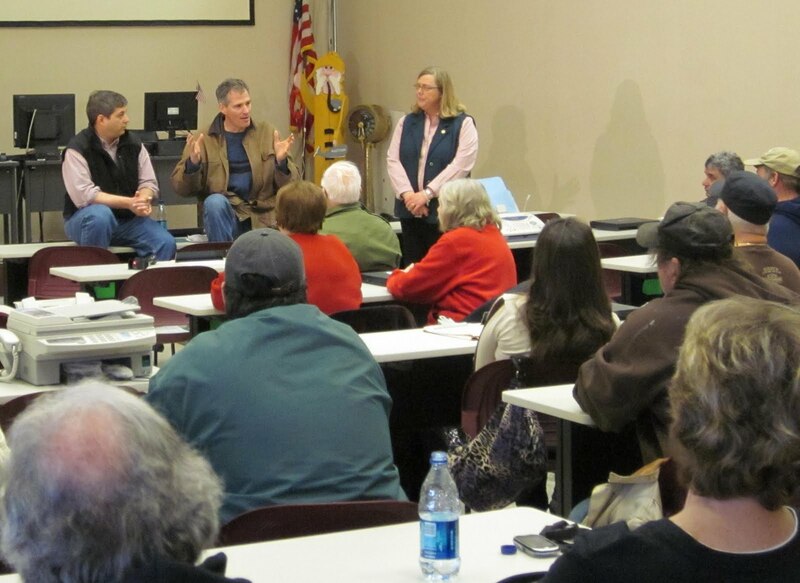 Mayor Kirk of Gloucester (far left) discusses with U.S. Senator Scott Brown (center) and State Senator Bruce Tarr (far right) the effects fishery regulations have had on the city aboard the fishing vessel Pablo Pia. U.S. 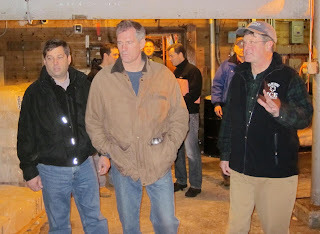 Senator Scott Brown (center) tours the Gloucester Seafood Display Auction with owner Larry Ciulla (far right), Mayor Kirk, State Representative Ann-Margaret Ferrante, andState Senator Bruce Tarr. U.S. Senator Scott Brown discusses with State Senator Bruce Tarr, fishermen, fishing advocates and stakeholders about his recently filed FISH Act of 2011.